The “Father of English empiricism,” was born in 1632 at Wrinton in Somerset, son of a Puritan lawyer, and became an Oxford academic and advisor to the Whig first earl of Shaftesbury. His Treatises on Government, in which he denied the Divine Right of Kings, were taken to be incitements to Shaftesbury’s plots and the ‘Glorious Revolution’, leading him to be exiled to France and Holland. When the Prince of Orange become William III of England, Locke returned to become commissioner of appeals, and an advisor on coinage. The genius of the ‘Essay’ is in its assertion that men acquire knowledge not through divine revelation or because they possess innate ideas, but because the senses permit him to learn from the external world, and put him in touch with reality. Like Locke’s politics, much of this seems accepted wisdom now, but that is what genius makes happen. Let us suppose the mind to be a blank paper void of without any ideas. All our knowledge comes from experiences which enter simple and unmixed, and which the mind has the power to repeat, compare and unite to an almost infinite variety, and so can make at will new complex ideas. But it cannot make new ideas, nor destroy those that are there. Ideas are produced from primary qualities, viz. solidity, extension, figure, motion or rest, and number. Secondary qualities are colours, sounds, tastes, etc. From whence it is easy to draw this observation: that the ideas of primary qualities of bodies are resemblances of them, but the ideas produced in us by the secondary qualities have no resemblance in them at all. Light, heat, whiteness, or coldness are no more really in things than sickness or pain is in manna. Perception is often altered by our experience, as when we see a globe as a circle, but take it to be spherical, it is the first operation of our intellectual faculties, and the inlet of all knowledge into our minds. We can also discern and distinguish between several ideas, if ideas are clear. The comparing of ideas one with another is the operation of the mind upon which all understanding of relation depends. By composition, the mind puts together several simple ideas into complex ones. By abstraction we apply general terms to similar experiences, as when we call the colour of snow or chalk by the same name. The mind is wholly passive in the reception of all its simple ideas; even large and abstract ideas such as of space, time and infinity, are derived from sensation or reflection. It is plain that perceptions are produced by exterior causes affecting our senses, but those that lack the physical organs of any sense never can have the ideas belonging to that sense produced in their minds. Or senses bear witness to the truth of each other’s report concerning the existence of sensible things without us and around us. 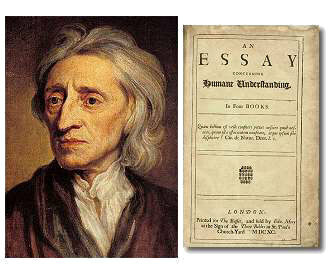 As the original extends to some 300,000 words, this is a squashed version is a severe abridgement, the more so as Locke, unlike many others, is not especially repetetive. Ideas: The discrete mental objects which are in our understanding- not the objects which caused them. Ideas all derive from either sensation or reflection. Sensation, or Sense-Perception: The process by which external objects cause events in the mind. Reflection: The internal mental process of comparing ideas initiated by sensation. MY LORD, THIS Treatise is now come to light. Things in print must stand and fall by their own worth, and the imputation of Novelty is a terrible charge amongst those who judge of men’s heads, as they do of their perukes [wigs]. Truth scarce ever yet carried it by vote anywhere at its first appearance: new opinions are always suspected, and usually opposed. But truth, like gold, is not the less so for being newly brought out of the mine. This present I here to your lordship; just as the poor man does to his rich and great neighbour, by whom the basket of flowers or fruit is not ill taken, though he has more plenty of his own growth, and in much greater perfection. As thou knowest not what is the way of the Spirit, nor how the bones do grow in the womb of her that is with child: even so thou knowest not the works of God, who maketh all things.- Eccles. 11.5. An Inquiry into the understanding, pleasant and useful. Since it is the understanding that sets man above the rest of sensible beings, it is certainly a subject worth our labour to inquire into the origin, certainty, and extent of human knowledge, together with the grounds and degrees of belief, opinion, and assent;- I shall not at present meddle with the physical consideration of the mind; or trouble myself to examine wherein its essence consists. These are speculations which, however curious and entertaining, I shall decline. What “Idea” stands for. It being that term which, I think, serves best to stand for whatsoever is the object of the understanding when a man thinks, I have used it to express whatever is meant by phantasm, notion, species, or whatever it is which the mind can be employed about in thinking. I presume it will be easily granted me, that there are such ideas in men’s minds: every one is conscious of them in himself; and men’s words and actions will satisfy him that they are in others. Our first inquiry then shall be how they come into the mind. 1. The way shown how we come by any knowledge, sufficient to prove it not innate. It is an established opinion amongst some men, that there are in the understanding certain innate principles; some primary notions, koinai ennoiai [“common concepts” of theology and metaphysics], characters, as it were stamped upon the mind of man; which the soul receives in its very first being, and brings into the world with it. It would be sufficient to convince unprejudiced readers of the falseness of this supposition, if I should only show how men, barely by the use of their natural faculties, may attain to all the knowledge they have, without the help of any innate impressions; and may arrive at certainty, without any such original notions or principles. 2. General assent the great argument. There is nothing more commonly taken for granted than that there are certain principles universally agreed upon by all mankind: which therefore, they argue, must needs be the constant impressions which the souls of men receive in their first beings. 3. Universal consent proves nothing innate. This argument, drawn from universal consent, has this misfortune in it, that if it were true in matter of fact, that there were certain truths wherein all mankind agreed, it would not prove them innate. 4. “What is, is,” and “It is impossible for the same thing to be and not to be,” not universally assented to. I take liberty to say, that these propositions are so far from having an universal assent, that there are a great part of mankind to whom they are not so much as known. 1. No moral principles so clear and so generally received as the forementioned speculative maxims. If those speculative Maxims, whereof we discoursed in the foregoing chapter, have not an actual universal assent from all mankind, it is much more visible concerning practical Principles, that they come short of an universal reception. 2. Faith and justice not owned as Principles by all men. Whether there be any such moral principles, wherein all men do agree, I appeal to any who have looked beyond the smoke of their own chimneys. Where is that practical truth that is universally received, without doubt or question, as it must be if innate? Justice, and keeping of contracts, is a principle which is thought to extend itself to the dens of thieves. But it is impossible to conceive that he embraces justice as a practical principle, who acts fairly with his fellow-highwayman, and at the same time plunders or kills the next honest man he meets with. 3. Objection: “though men deny them in their practice, yet they admit them in their thoughts,” answered. Perhaps it will be urged, that the tacit assent of their minds agrees to what their practice contradicts. I answer, first, I have always thought the actions of men the best interpreters of their thoughts. 2. All ideas come from sensation or reflection. Let us then suppose the mind to be, as we say, white paper, void of all characters, without any ideas:- How comes it to be furnished? Whence comes it by that vast store which the busy and boundless fancy of man has painted on it with an almost endless variety? Whence has it all the materials of reason and knowledge? To this I answer, in one word, from EXPERIENCE. In that all our knowledge is founded; and from that it ultimately derives itself. 3. The objects of sensation one source of ideas. First, our Senses, conversant about particular sensible objects, do convey into the mind several distinct perceptions of things, according to those various ways wherein those objects do affect them. And thus we come by those ideas we have of yellow, white, heat, cold, soft, hard, bitter, sweet, and all those which we call sensible qualities. This great source of most of the ideas we have, I call SENSATION. 4. The operations of our minds, the other source of them. Secondly, the other fountain from which experience furnisheth the understanding with ideas is the perception of the operations of our own mind within us. This source of ideas every man has wholly in himself; and though having nothing to do with external objects, yet it is very like it, and might properly enough be called internal sense. These two, I say, viz. SENSATION, and the operations of our own minds within, as REFLECTION, are to me the only originals from whence all our ideas take their beginnings. 5. All our ideas are of the one or the other of these. Let any one examine his own thoughts, and thoroughly search into his understanding; and then let him tell me, whether all the original ideas he has there, are any other than of the objects of his senses, or of the operations of his mind. 6. Observable in children. He that attentively considers the state of a child first coming into the world, will have little reason to think him stored with plenty of ideas. I think it will be granted easily, that if a child were kept in a place where he never saw any other but black and white till he were a man, he would have no more ideas of scarlet or green, than he that from his childhood never tasted an oyster, or a pine-apple, has of those particular relishes. 10. The soul thinks not always; for this wants proofs. I confess myself to have one of those dull souls, that doth not perceive itself always to contemplate ideas. But whether that substance perpetually thinks or no, we can be no further assured than experience informs us. 11. It is not always conscious of it. I grant that the soul, in a waking man, is never without thought. But whether sleeping without dreaming be not an affection of the whole man, mind as well as body, may be worth a waking man’s consideration. If it be possible that the soul can, whilst the body is sleeping, have its thinking, enjoyments, and concerns, which the man is not conscious of nor partakes in,- it is certain that Socrates asleep and Socrates awake is not the same person. For, if we take wholly away all consciousness of our actions and sensations, especially of pleasure and pain, and the concernment that accompanies it, it will be hard to know wherein to place personal identity. 1. Uncompounded appearances. Though the qualities that affect our senses are, in the things themselves, so united and blended, that there is no separation; yet it is plain, the ideas they produce in the mind enter by the senses simple and unmixed. For, though the sight and touch often take in from the same object, at the same time, different ideas;- as a man sees at once motion and colour; the hand feels softness and warmth in the same piece of wax: yet the simple ideas thus united in the same subject, are as perfectly distinct as those that come in by different senses. The coldness and hardness which a man feels in a piece of ice being as distinct ideas in the mind as the smell and whiteness of a lily, each in itself uncompounded, contains in it nothing but one uniform appearance, or conception in the mind, and is not distinguishable into different ideas. 2. The mind can neither make nor destroy them. When the understanding is once stored with these simple ideas, it has the power to repeat, compare, and unite them, even to an almost infinite variety, and so can make at pleasure new complex ideas. But it is not in the power of the most exalted wit, or enlarged understanding, to invent or frame one new simple idea in the mind, not taken in by the ways before mentioned: nor can any force of the understanding destroy those that are there. I would have any one try to fancy any taste which had never affected his palate; or frame the idea of a scent he had never smelt: and when he can do this, I will also conclude that a blind man hath ideas of colours, and a deaf man true distinct notions of sounds. 1. Division of simple ideas. First, There are some which come into our minds by one sense only. Secondly, others that convey themselves into the mind by more senses than one. Thirdly, Others that are had from reflection only. Fourthly, There are some that make themselves way, and are suggested to the mind by all the ways of sensation and reflection. There are some ideas which have admittance only through one sense, which is peculiarly adapted to receive them. Thus light and colours, come in only by the eyes. All kinds of noises, only by the ears. The several tastes and smells, by the nose and palate. The most considerable of those belonging to the touch, are heat and cold, and solidity. 2. Solidity fills space. This is the idea which belongs to body, whereby we conceive it to fill space. This idea of it, the bodies which we ordinarily handle sufficiently furnish us with. 6. What solidity is. If any one ask me, What this solidity is, I send him to his senses to inform him. Let him put a flint or a football between his hands, and then endeavour to join them, and he will know. If he thinks this not a sufficient explication of solidity, what it is, and wherein it consists. Ideas received both by seeing and touching. The ideas we get by more than one sense are, of space or extension, figure, rest, and motion. For these make perceivable impressions, both on the eyes and touch; and we can receive and convey into our minds the ideas of the extension, figure, motion, and rest of bodies, both by seeing and feeling. 1. Simple ideas are the operations of mind about its other ideas. The mind receiving the ideas mentioned in the foregoing chapters from without, when it turns its view inward upon itself, and observes its own actions about those ideas it has, takes from thence other ideas, which are as capable to be the objects of its contemplation as any of those it received from foreign things. The power of thinking is called the Understanding, and the power of volition is called the Will; and these two powers or abilities in the mind are denominated faculties. Of some of the modes of these simple ideas of reflection, such as are remembrance, discerning, reasoning, judging, knowledge, faith, &c., I shall have occasion to speak hereafter. 1. Ideas of pleasure and pain. There be other simple ideas which convey themselves into the mind by all the ways of sensation and reflection, viz. pleasure or delight, and its opposite, pain, or uneasiness; power; existence; unity. 2. Mix with almost all our other ideas. Delight or uneasiness, one or other of them, join themselves to almost all our ideas both of sensation and reflection. 3. As motives of our actions. It has therefore pleased our wise Creator to annex to several objects, and the ideas which we receive from them, as also to several of our thoughts, a concomitant pleasure, and that in several objects, to several degrees, that those faculties which he had endowed us with might not remain wholly idle and unemployed by us. 4. An end and use of pain. Pain has the same efficacy and use to set us on work that pleasure has, we being as ready to employ our faculties to avoid that, as to pursue this. 7. Ideas of existence and unity. Existence and Unity are two other ideas that are suggested to the understanding by every object without, and every idea within. When ideas are in our minds, we consider them as being actually there, as well as we consider things to be actually without us. And whatever we can consider as one thing, whether a real being or idea, suggests to the understanding the idea of unity. 8. Idea of power. Power also is another of those simple ideas which we receive from sensation and reflection, by observing in ourselves that we can at pleasure move several parts of our bodies which were at rest. 9. Idea of succession. Besides these there is the idea of succession. For if we look immediately into ourselves, and reflect on what is observable there, we shall find our ideas always, whilst we are awake, or have any thought, passing in train, one going and another coming, without intermission. 10. Simple ideas the materials of all our knowledge. Nor let any one think these too narrow bounds for the capacious mind of man to expatiate in, which takes its flight further than the stars, and cannot be confined by the limits of the world; that extends its thoughts often even beyond the utmost expansion of Matter, and makes excursions into that incomprehensible Inane. Nor will it be so strange to think these few simple ideas sufficient to employ the quickest thought, or largest capacity; and to furnish the materials of all that various knowledge, and more various fancies and opinions of all mankind, if we consider how many words may be made out of the various composition of twenty-four letters; or if, going one step further, we will but reflect on the variety of combinations that may be made with barely one of the above-mentioned ideas, viz. number, whose stock is inexhaustible and truly infinite: and what a large and immense field doth extension alone afford the mathematicians? 8. Our ideas and the qualities of bodies. Whatsoever the mind perceives in itself, or is the immediate object of perception, thought, or understanding, that I call idea; and the power to produce any idea in our mind, I call quality of the subject wherein that power is. Thus a snowball having the power to produce in us the ideas of white, cold, and round,-I call qualities. 9. Primary qualities of bodies. Qualities thus considered in bodies are, First, such as are utterly inseparable from the body, in what state soever it be. These I call original or primary qualities of body, which I think we may observe to produce simple ideas in us, viz. solidity, extension, figure, motion or rest, and number. 10. Secondary qualities of bodies. Secondly, such qualities which in truth are nothing in the objects themselves but power to produce various sensations in us by their primary qualities, i.e. by the bulk, figure, texture, and motion of their insensible parts, as colours, sounds, tastes, &c. These I call secondary qualities. 15. Ideas of primary qualities are resemblances; of secondary, not. From whence I think it easy to draw this observation,- that the ideas of primary qualities of bodies are resemblances of them, and their patterns do really exist in the bodies themselves, but the ideas produced in us by these secondary qualities have no resemblance of them at all. There is nothing like our ideas, existing in the bodies themselves. They are, in the bodies we denominate from them, only a power to produce those sensations in us: and what is sweet, blue, or warm in idea, is but the certain bulk, figure, and motion of the insensible parts, in the bodies themselves, which we call so. 16. Examples. He that will consider that the fire that, at one distance produces in us the sensation of warmth, does, at a nearer approach, produce in us the far different sensation of pain, ought to bethink himself what reason he has to say- that this idea of warmth, which was produced in him by the fire, is actually in the fire; and his idea of pain, which the same fire produced in him the same way, is not in the fire. 17. The ideas of the primary alone really exist. The particular bulk, number, figure, and motion of the parts of fire or snow are really in them,- whether any one’s senses perceive them or no: and therefore they may be called real qualities, because they really exist in those bodies. But light, heat, whiteness, or coldness, are no more really in them than sickness or pain is in manna. Take away the sensation of them; let not the eyes see light or colours, nor the ears hear sounds; let the palate not taste, nor the nose smell, and all colours, tastes, odours, and sounds, as they are such particular ideas, vanish and cease, and are reduced to their causes, i.e. bulk, figure, and motion of parts. 20. Pound an almond, and the clear white colour will be altered into a dirty one, and the sweet taste into an oily one. What real alteration can the beating of the pestle make, but an alteration of texture? 21. Explains how water felt as cold by one hand may be warm to the other. Thus we may be able to account how the same water, at the same time, may produce the idea of cold by one hand and of heat by the other. If the sensation of heat and cold be nothing but the increase or diminution of the motion of the minute parts of our bodies, it is easy to be understood, that if that motion be greater in one hand than in the other; if a body be applied to the two hands, which has in its minute particles a greater motion than in those of one of the hands, and a less than in those of the other, it will increase the motion of the one hand and lessen it in the other; and so cause the different sensations of heat and cold that depend thereon. 2. Reflection alone can give us the idea of what perception is. What perception is, every one will know better by reflecting on what he does himself, when he sees, hears, feels, &c., or thinks, than by any discourse of mine. 5. Children, though they may have ideas in the womb, have none innate. Therefore I doubt not but children, by the exercise of their senses about objects that affect them in the womb, receive some few ideas before they are born. 8. Sensations often changed by the judgment. We are further to consider concerning perception, that the ideas we receive by sensation are often, in grown people, altered by the judgment, without our taking notice of it. When we set before our eyes a round globe of any uniform colour, v.g. gold, alabaster, or jet, it is certain that the idea thereby imprinted on our mind is of a flat circle, variously shadowed, with several degrees of light and brightness coming to our eyes. But we having, by use, been accustomed to perceive what kind of appearance convex bodies are wont to make in us; what alterations are made in the reflections of light by the difference of the sensible figures of bodies;- the judgment presently, by an habitual custom, alters the appearances into their causes. So that from that which is truly variety of shadow or colour, collecting the figure, it makes it pass for a mark of figure, and frames to itself the perception of a convex figure and an uniform colour; when the idea we receive from thence is only a plane variously coloured, as is evident in painting. I shall here insert a problem of that very ingenious and learned Mr. Molyneux, which he did send me in a letter:- “Suppose a man born blind, learned by touch to distinguish between a cube and a sphere of metal. Could he, if his sight be restored, so distinguish them by sight alone? No. For though he has obtained the experience of how a globe, how a cube affects his touch, yet he has not yet obtained the experience that what affects his touch must affect his sight.” I agree with this thinking gentleman, whom I am proud to call my friend. This I leave with my reader, to consider how much he may be beholden to experience, and acquired notions, where he thinks he had not the least help from them. 1. Contemplation. The next faculty of the mind, whereby it makes a further progress towards knowledge, is that which I call retention; or the keeping of those simple ideas which from sensation or reflection it hath received. This is done two ways. First, by keeping the idea which is brought into it, for some time actually in view, which is called contemplation. 2. Memory. The other way of retention is, the power to revive again in our minds those ideas which, after imprinting, have disappeared, or have been as it were laid aside out of sight. And thus we do, when we conceive heat or light, yellow or sweet,- the object being removed. This is memory, which is as it were the storehouse of our ideas. 4. Comparing. The COMPARING them one with another, in respect of extent, degrees, time, place, or any other circumstances, is another operation of the mind about its ideas, and is that upon which depends all that large tribe of ideas comprehended under relation. 5. Brutes compare but imperfectly. It seems to me to be the prerogative of human understanding, when it has sufficiently distinguished any ideas, so as to perceive them to be perfectly different, and so consequently two, to cast about and consider in what circumstances they are capable to be compared. 6. Compounding. The next operation we may observe in the mind about its ideas is COMPOSITION; whereby it puts together several of those simple ones it has received from sensation and reflection, and combines them into complex ones. 9. Abstraction. The use of words then being to stand as outward marks of our internal ideas, and those ideas being taken from particular things, if every particular idea that we take in should have a distinct name, names must be endless. To prevent this, the mind makes the particular ideas received from particular objects to become general; which is done by considering them as they are in the mind such appearances,- separate from all other existences, and the circumstances of real existence, as time, place, or any other concomitant ideas. This is called ABSTRACTION, whereby ideas taken from particular beings become general representatives of all of the same kind. Thus the same colour being observed to-day in chalk or snow, which the mind yesterday received from milk, it considers that appearance alone, makes it a representative of all of that kind; and having given it the name whiteness, it by that sound signifies the same quality wheresoever to be imagined or met with; and thus universals, whether ideas or terms, are made. 1. Made by the mind out of simple ones. The mind is wholly passive in the reception of all its simple ideas, so it exerts several acts of its own, whereby out of its simple ideas, the others are framed. (1) Combining several simple ideas into one compound one; and thus all complex ideas are made. (2) Bringing two ideas, whether simple or complex, together, and setting them by one another, so as to take a view of them at once, without uniting them into one; by which way it gets all its ideas of relations. (3) Separating them from all other ideas that accompany them in their real existence: this is called abstraction: and thus all its general ideas are made. 2. Power, active and passive. Power is two-fold, viz. as able to make, or able to receive any change. The one may be called active, and the other passive power. Thus we say, Fire has a power to melt gold, and gold has a power to be melted. 7. Whence the ideas of liberty and necessity. Every one, I think, finds in himself a power to begin or forbear, continue or put an end to actions in himself. From the consideration of the extent of this power, arise the ideas of liberty and necessity. 14. Liberty belongs not to the will. Whether man’s will be free or no? If I mistake not, the question itself is altogether improper; and it is as insignificant to ask whether man’s will be free, as to ask whether his sleep be swift, or his virtue square: liberty being as little applicable to the will. 23. How a man cannot be free to will. As freedom consists in a power of acting or not acting, a man in respect of willing cannot be free. The reason whereof is very manifest. For, it being unavoidable that the action depending on his will should exist or not exist, he cannot avoid willing the existence or non-existence of that action; it is absolutely necessary that he will the one or the other. So that, in respect of the act of willing, a man in such a case is not free, nor is any being, as far I can comprehend beings above me, capable of such a freedom of will that it can forbear to will. 65. Men may err in comparing present and future. Were the pleasure of drinking accompanied, the very moment a man takes off his glass, with that sick stomach and aching head which, in some men, are sure to follow not many hours after, I think nobody, whatever pleasure he had in his cups, would, on these conditions, ever let wine touch his lips. 2. Our obscure idea of substance in general. If any one will examine himself concerning his notion of substance, he will find he has only a supposition of he knows not what. If any one should be asked, what is the subject wherein colour or weight inheres, he would have nothing to say, like the Indian who, saying that the world was supported by a great elephant, was asked what the elephant rested on; to which his answer was- a great tortoise: but being again pressed to know what gave it support, replied- something, he knew not what. 11. The now secondary qualities of bodies would disappear, if we could discover the primary ones of their minute parts. Blood, to the naked eye, appears all red; but by a good microscope shows only some few globules of red, swimming in a pellucid liquor. 4. Identity of vegetables. An oak tree, for instance, continues to be the same plant as long as it partakes of the same life. 5. Identity of animals. The case is not so much different in brutes, or in machines such as a watch. There is this difference, in an animal motion comes from within; but in machines the force comes from without. 6. The identity of man. The identity of man consists likewise in nothing but a participation of the same continued life, by constantly fleeting particles of matter, in succession vitally united to the same organized body. He that shall place the identity of man in anything else, will find it hard to make an embryo, one of years, mad and sober, the same man, by any supposition that will not make it possible for Seth, Socrates, Pilate, and Caesar Borgia, to be the same man. 8. Same man. I think I may be confident, that, whoever should see a creature of his own form, though it had no more reason than a parrot, would call him still a man; or whoever should hear a parrot discourse, and philosophize, would call it nothing but a very intelligent rational parrot. 23. Consciousness alone unites remote existences into one person. Nothing but consciousness can unite remote existences into the same person: the identity of substance will not do it; for whatever substance there is, however framed, without consciousness there is no person. 5. Wrong connexion of ideas. Some of our ideas have a natural correspondence and connexion one with another, which it is for our reason to trace. But there is another connexion of ideas that are not all of kin. 8. Influence of association in young children. Those who have the charge of children should diligently prevent the undue connexion of ideas in their minds. 10. An instance. The ideas of goblins and sprites have really no more to do with darkness than light: but let a foolish maid inculcate these on a child and possibly he shall never be able to separate them again so long as he lives. 11. Another instance. A man receives a sensible injury from another, strongly thinks on the man and that action over and over, and so cements those two ideas, and never thinks on the man, but the pain he suffered. 14. A friend of mine knew one perfectly cured of madness by a very harsh and offensive operation. The gentleman had a great sense of gratitude, but never could bear the sight of the operator. 15. Many children, imputing the pain they endured at school to their books they were corrected for, so join those ideas together, that reading becomes a torment to them, which otherwise might have made the great pleasure of their lives. 1. Words are sensible signs, necessary for communication of ideas. The comfort and advantage of society not being to be had without communication of thoughts, it was necessary that man should find out some external sensible signs of invisible ideas, that his thoughts might be made known to others. The use, then, of words, is to be sensible marks of ideas; and the ideas they stand for are their proper and immediate signification. 3. Examples. A child having taken notice of nothing in the metal he hears called gold, but the bright shining yellow colour, he applies the word gold only to his own idea of that colour, and nothing else; and therefore calls the same colour in a peacock’s tail gold. Another that hath better observed, adds to shining yellow great weight. Another fusibility, another, malleability. Each of these uses equally the word gold, when they have occasion to express the idea which they have applied it to: but it is evident that each can apply it only to his own idea; nor can he make it stand as a sign of such a complex idea as he has not. 6. How general words are made. Words become general by being made the signs of general ideas: and ideas become general, by separating from them the circumstances of time and place, and any other ideas that may determine them to this or that particular existence. 7. Shown by the way we enlarge our complex ideas from infancy. There is nothing more evident, than that the ideas of the persons children converse with are like the persons themselves, only particular. Afterwards, they come to have a general name, and a general idea. Wherein they make nothing new; but only leave out of the complex idea they had of Peter and Jane, retaining only what is common to them all. 15. Since the essences of things are thought by some (and not without reason) to be wholly unknown, it may not be amiss to consider the several significations of the word essence. Real essences. Essence may be taken for the very being of anything, whereby it is what it is and whereon their discoverable qualities depend. 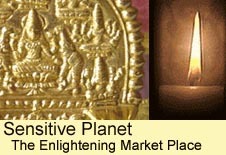 Nominal essences. The learning and disputes of the schools hath applied the signification of ‘essence’, not unto the real constitution of things, but to the artificial constitution of genus and species. 20. To conclude. All the business of the Schools, of genera and species, and their essences, amounts to no more but this:- That men making abstract ideas, and settling them in their minds with names annexed to them, do thereby enable themselves to consider things, and discourse of them, as it were in bundles, for the easier and readier improvement and communication of their knowledge, which would advance but slowly were their words and thoughts confined only to particulars. 5. If all names were definable, it would be a process in infinitum. I think it is agreed that a definition is nothing else but the showing the meaning of one word by several other not synonymous terms. 7. Simple ideas, why undefinable. This being premised, I say that the names of simple ideas, and those only, are incapable of being defined. The reason whereof is this, that the several terms of a definition, signifying several ideas, they can all together by no means represent an idea which has no composition at all: and therefore a definition can in the names of simple ideas have no place. 1. The common names of substances stand for sorts. 2. The essence of each sort of substance is our abstract idea to which the name is annexed. 3. The nominal and real essence different. Had we such a knowledge of that constitution of man, as his Maker has, we should have an idea of his essence as far different from what it is now, as is his who knows all the springs and wheels within of the famous clock at Strasburg, from that which a gazing countryman has of it, who observes only the hands and chimes of it. 13. If I should ask any one whether ice and water were two distinct species of things, I doubt not but I should be answered in the affirmative. But if an Englishman bred in Jamaica, who had never seen ice, coming into England in the winter, find the water in his basin a great part frozen, and, not knowing any peculiar name it had, should call it hardened water; I ask whether this would be a new species to him, different from water? And I think it would be answered, It would not be to him a new species. And if this be so, it is plain that our distinct species are nothing but distinct complex ideas, with distinct names annexed to them. 20. Names independent of real essences. By all which it is clear, that our distinguishing substances into species by names, is not at all founded on their real essences; nor can we pretend to range and determine them exactly into species, according to internal essential differences. 22. Our abstract ideas are to us the measures of the species we make: instance in that of man. There are creatures, as it is said, that, with language and reason and a shape agreeing with ours, have hairy tails; others where the males have no beards, and others where the females have. If it be asked whether these be all human men? it is plain, the question refers only to the nominal essence: for those of them to whom the definition of the word man agrees, are men, and the other not. But if the inquiry be made concerning the supposed real essence and of the the internal constitution of these creatures, it is wholly impossible for us to answer. 26. It is evident they essences made by the mind, and not by nature: for were they Nature’s workmanship, they could not be so various and different in several men as experience tells us they are. 29. Our nominal essences of substances usually consist of a few obvious qualities observed in things. Yet, imperfect as they thus are, they serve for common converse. 34. Instance in Cassowaries. Were I to talk with of a sort of birds I lately saw in St. James’s Park, about three feet high, with feet of three claws, and without a tail; I must make this description of it, and so may make others understand me. But when I am told that the name of it is cassuaris, I may then use that word to stand in discourse for all my that description; though by that word, I know no more of the real essence or constitution of that animals than I did before. 1. Since the mind hath no other immediate object but its own ideas, it is evident that our knowledge is only conversant about them. III. Co-existence, or necessary connexion. 4. As to the first sort of agreement or disagreement, viz. identity or diversity. It is the first act of the mind, when it has any sentiments or ideas at all, to perceive its ideas; and so far as it perceives them, to know each what it is, and thereby also to perceive their difference, and that one is not another. This is so absolutely necessary, that without it there could be no distinct thoughts at all. If there ever happen any doubt about it, it will always be found to be about the names, and not the ideas themselves. 5. The sort of agreement or disagreement called relative, since all distinct ideas must eternally be known not to be the same, there could be no room for any positive knowledge at all, if we could not perceive any relation between our ideas, and find out the agreement or disagreement they have one with another, in several ways the mind takes of comparing them. 7. The fourth and last sort is that of actual real existence agreeing to any idea. Within these four sorts of agreement or disagreement is, I suppose, contained all the knowledge we have, or are capable of. I. Intuitive. The different clearness of our knowledge seems to me to lie in the different way of perception the mind has of the agreement or disagreement of any of its ideas. For if we will reflect on our own ways of thinking, we will find, that sometimes the mind perceives the agreement or disagreement of two ideas immediately by themselves, without the intervention of any other: and this I think we may call intuitive knowledge. For in this the mind is at no pains of proving or examining, but perceives the truth as the eye doth light, only by being directed towards it. Thus the mind perceives that white is not black or that a circle is not a triangle. He that demands a greater certainty than this, demands he knows not what, and shows only that he has a mind to be a sceptic, without being able to be so. Certainty depends so wholly on this intuition, that, in the next degree of knowledge which I call demonstrative, this intuition is necessary in all the connexions of the intermediate ideas, without which we cannot attain knowledge and certainty. II. Demonstrative. The next degree of knowledge is, where the mind perceives the agreement or disagreement of any ideas, but not immediately. The reason why the mind cannot always perceive presently the agreement or disagreement of two ideas, is, because those ideas, concerning whose agreement or disagreement the inquiry is made, cannot by the mind be so put together as to show it. 1. Extent of our knowledge. Knowledge, lying in the perception of the agreement or disagreement of any of our ideas, it follows from hence that, it extends no further than we have ideas. 3. Intuitive knowledge extends itself not to all the relations of all our ideas. 4. Nor does demonstrative knowledge. 5. Sensitive knowledge reaching no further than the existence of things actually present to our senses, is yet much narrower than either of the former. 11. Especially of the secondary qualities of bodies. The ideas that our complex ones of substances are made up of are those of their secondary qualities; which depending all upon the primary qualities of their minute parts; or upon something yet more remote from our comprehension; it is impossible we should know which have union or inconsistency one with another. 13. We have no perfect knowledge of primary qualities. We are so far from knowing what figure, size, or motion of parts produce a yellow colour, a sweet taste, or a sharp sound, that we can by no means conceive how any size, figure, or motion of any particles, can possibly produce in us the idea of any colour, taste, or sound whatsoever: there is no conceivable connexion between the one and the other. 18. Morality capable of demonstration. The idea of a supreme Being, infinite in power, goodness, and wisdom, whose workmanship we are, and on whom we depend; and the idea of ourselves, as understanding, rational creatures, being such as are clear in us, would afford such foundations of our duty and rules of action as might place morality amongst the sciences capable of demonstration. “Where there is no property there is no injustice,” is a proposition as certain as any in Euclid: for the idea of property being a right to anything, and the idea to which the name “injustice” is given being the invasion or violation of that right, it is evident that I can as certainly know this proposition to be true, as that a triangle has three angles equal to two right ones. Again: “No government allows absolute liberty.” The idea of government being the establishment of society upon certain rules which require conformity to them; and the idea of absolute liberty being for any one to do whatever he pleases; I am as capable of being certain of the truth of this proposition as of any in the mathematics. 2. Answer: I hope, before I have done, to make it evident, that this way of certainty, by the knowledge of our own ideas, goes a little further than bare imagination: and I believe it will appear that all the certainty of general truths a man has lies in nothing else. 3. I think, there be two sorts of ideas that we may be assured agree with things. 4. The first are simple ideas, which since the mind can by no means make to itself, must necessarily be the product of things operating on the mind, in a natural way. From whence it follows, that simple ideas are but the natural and regular productions of things without us. Thus the idea of whiteness, or bitterness, as it is in the mind, exactly answering that power which is in any body to produce it there, is sufficient for real knowledge. 5. All complex ideas, except ideas of substances, are their own archetypes. Secondly, All our complex ideas, except those of substances, being archetypes of the mind’s own making, not intended to be the copies of anything, cannot want any conformity necessary to real knowledge. For that which is not designed to represent anything but itself, can never be capable of a wrong representation. 6. Hence the reality of mathematical knowledge. It will be easily granted that the knowledge we have of mathematical truths is not only certain, but real knowledge: and yet, if we will consider, we shall find that it is only of our own ideas. The mathematician considers the truth and properties belonging to a rectangle or circle only as they are in idea in his own mind. For it is possible he never found either of them existing mathematically, i.e. precisely true, in his life. 7. And of moral. And hence it follows that moral knowledge is as capable of real certainty as mathematics. For certainty being but the perception of the agreement or disagreement of our ideas, and demonstration nothing but the perception of such agreement, by the intervention of other ideas or mediums; our moral ideas, as well as mathematical, being archetypes themselves, and so adequate and complete ideas; all the agreement or disagreement which we shall find in them will produce real knowledge. 11. Our complex ideas of substances have their archetypes without us; and here knowledge comes short. From whence it comes to pass, that they may, and often do, fail of being exactly conformable to things themselves. 12. So far as our complex ideas agree with those archetypes without us, so far our knowledge concerning substances is real. 16. Monsters. Shall a defect in the body make a monster; yet a defect in the mind (the far more noble part) not? Shall the want of a nose, or a neck, make a monster, and put such issue out of the rank of men; the want of reason and understanding, not? For, since there have been human foetuses produced, half beast and half man; and others in all the variety of approaches to the one or the other shape, I would gladly know what are those precise lineaments, which are or are not capable of a rational soul to be joined to them. So necessary is it to quit the common notion of species and essences, if we will truly look into the nature of things, and examine them by what our faculties can discover in them as they exist. 18. Recapitulation. Wherever we perceive the agreement or disagreement of any of our ideas, there is certain knowledge: and wherever we are sure those ideas agree with the reality of things, there is certain real knowledge. 1. Treating of words necessary to knowledge. Though the examining and judging of ideas by themselves, their names being quite laid aside, be the best and surest way to clear and distinct knowledge: yet, through the prevailing custom of using sounds for ideas, I think it is very seldom practised. Every one may observe how common it is for names to be made use of, even when men think and reason within their own breasts. This makes the consideration of words and propositions so necessary a part of the Treatise of Knowledge. 3. But that we may not be misled, it is fit to observe that certainty is twofold: certainty of truth and certainty of knowledge. Certainty of truth is, when words are so put together in propositions as exactly to express the agreement or disagreement of the ideas they stand for. Certainty of knowledge is to perceive the agreement or disagreement of ideas, as expressed in any proposition. This we usually call knowing, or being certain of the truth of any proposition. 4. No proposition can be certainly known to be true, where the real essence of each species mentioned is not known. Now, because we cannot be certain of the truth of any general proposition, unless we know the precise bounds and extent of the species its terms stand for, it is necessary we should know the essence of each species, which is that which constitutes and bounds it. This, in all simple ideas and modes, is not hard to do. For in these the real and nominal essence being the same, or, which is all one, the abstract idea which the general term stands for being the sole essence and boundary that is or can be supposed of the species, there can be no doubt how far the species extends. But in substances, wherein a real essence is supposed to determine the species, the extent of the general word is very uncertain; because, not knowing this real essence, we cannot know what is. And thus, speaking of a man, or gold, or any other species of natural substances, to suppose that the species of things are anything but the sorting of them under general names, is to confound truth, and introduce uncertainty into all general propositions that can be made about them. Those wrong notions of essences or species having got root in most people’s minds, are to be discovered and removed, to make way for that use of words which should convey certainty with it. 2. A threefold knowledge of existence. But, leaving the nature of propositions, and different ways of predication to be considered more at large in another place, let us proceed now to inquire concerning our knowledge of the existence of things, and how we come by it. I say, then, that we have the knowledge of our own existence by intuition; of the existence of God by demonstration; and of other things by sensation. 3. As for our own existence, we perceive it so plainly and so certainly, that it neither needs nor is capable of any proof. For nothing can be more evident to us than our own existence. In every act of sensation, reasoning, or thinking, we are conscious to ourselves of our own being; and, in this matter, come not short of the highest degree of certainty. 1. We are capable of knowing certainly that there is a God. Though God has given us no innate ideas of himself; though he has stamped no original characters on our minds, wherein we may read his being; yet having furnished us with those faculties our minds are endowed with, he hath not left himself without witness: since we have sense, perception, and reason, and cannot want a clear proof of him, as long as we carry ourselves about us. But, though this be the most obvious truth that reason discovers, and though its evidence be (if I mistake not) equal to mathematical certainty: yet it requires thought and attention. 2. For man knows that he himself exists. If any one pretends to be so sceptical as to deny his own existence, (for really to doubt of it is manifestly impossible,) let him for me enjoy his beloved happiness of being nothing, until hunger or some other pain convince him of the contrary. 3 He knows also that nothing cannot produce a being; therefore something must have existed from eternity. 4. This eternal source, then, of all being must also be the source and original of all power; and so this eternal Being must be also the most powerful. 5. And most knowing. Again, a man finds in himself perception and knowledge. We have then got one step further; and we are certain now that there is not only some being, but some knowing, intelligent being in the world. 6. And therefore God. Thus, from the consideration of ourselves, and what we infallibly find in our own constitutions, our reason leads us to the knowledge of this certain and evident truth,- That there is an eternal, most powerful, and most knowing Being; which whether any one will please to call God, it matters not. 1. Knowledge of the existence of other finite beings is to be had only by actual sensation. It is the actual receiving of ideas from without that gives us notice of the existence of other things, and makes us know, that something doth exist at that time without us, which causes that idea in us; though perhaps we neither know nor consider how it does it. 3. This notice by our senses, though not so certain as demonstration, yet may be called knowledge, and proves the existence of things without us. The notice we have by our senses of the existing of things without us, though it be not altogether so certain as our intuitive knowledge, or the deductions of our reason employed about the clear abstract ideas of our own minds; yet it is an assurance that deserves the name of knowledge. It is plain those perceptions are produced in us by exterior causes affecting our senses: because those that want the organs of any sense, never can have the ideas belonging to that sense produced in their minds. 5. Because sometimes I find that I cannot avoid the having those ideas produced in my mind. For though, when my eyes are shut, or windows fast, I can at pleasure recall to my mind the ideas of light, or the sun, which former sensations had lodged in my memory; so I can at pleasure lay by that idea, and take into my view that of the smell of a rose, or taste of sugar. But, if I turn my eyes at noon towards the sun, I cannot avoid the ideas which the light or sun then produces in me. Besides, there is nobody who doth not perceive the difference in himself between contemplating the sun, as he hath the idea of it in his memory, and actually looking upon it: of which two, his perception is so distinct, that few of his ideas are more distinguishable one from another. And therefore he hath certain knowledge that they are not both memory, or the actions of his mind, and fancies only within him; but that actual seeing hath a cause without. Add to this, that many of those ideas are produced in us with pain, which afterwards we remember without the least offence. Our senses in many cases bear witness to the truth of each other’s report, concerning the existence of sensible things without us. He that sees a fire, may, if he doubt whether it be anything more than a bare fancy, feel it too; and be convinced, by putting his hand in it. 2. Wherein reasoning consists. Sense and intuition reach but a very little way. The greatest part of our knowledge depends upon deductions and intermediate ideas: and in those cases where we are fain to substitute assent instead of knowledge, and take propositions for true, without being certain they are so, we have need to find out, examine, and compare the grounds of their probability. In both these cases, the faculty which finds out the means, and rightly applies them, to discover certainty in the one, and probability in the other, is that which we call reason. For, as reason perceives the necessary and indubitable connexion of all the ideas or proofs one to another, in each step of any demonstration that produces knowledge; so it likewise perceives the probable connexion of all the ideas or proofs one to another, in every step of a discourse, to which it will think assent due. This is the lowest degree of that which can be truly called reason. 23. Above, contrary, and according to reason. By what has been before said of reason, we may be able to make some guess at the distinction of things into those that are according to, above, and contrary to reason. 1. According to reason are such propositions whose truth we can discover by examining and tracing those ideas we have from sensation and reflection; and by natural deduction find to be true or probable. 2. Above reason are such propositions whose truth or probability we cannot by reason derive from those principles. 3. Contrary to reason are such propositions as are inconsistent with or irreconcilable to our clear and distinct ideas. Thus the existence of one God is according to reason; the existence of more than one God, contrary to reason; the resurrection of the dead, above reason. 24. Reason and faith. There is another use of the word reason, wherein it is opposed to faith: which, though it be in itself a very improper way of speaking. Faith is nothing but a firm assent of the mind: which, if it be regulated, as is our duty, cannot be afforded to anything but upon good reason; and so cannot be opposite to it. 1. Love of truth necessary. He that would seriously set upon the search of truth ought in the first place to prepare his mind with a love of it. And yet one may truly say, that there are very few lovers of truth, for truth’s sake, even amongst those who persuade themselves that they are so. 7. What is meant by enthusiasm. This I take to be properly enthusiasm, which, though founded neither on reason nor divine revelation, but rising from the conceits of a warmed or overweening brain. 10. The supposed internal light examined. But to examine a little soberly this internal light, if I mistake not, these men receive it for true, because they presume God revealed it. Does it not, then, stand them upon to examine upon what grounds they presume it to be a revelation from God? or else all their confidence is mere presumption: and this light they are so dazzled with is nothing but an ignis fatuus, that leads them constantly round in this circle; It is a revelation, because they firmly believe it; and they believe it, because it is a revelation. 11. Enthusiasm fails of evidence, that the proposition is from God. But how shall it be known that any proposition in our minds is a truth infused by God? Here it is that enthusiasm fails of the evidence it pretends to. For men thus possessed, boast of a light whereby they say they are enlightened, and brought into the knowledge of this or that truth. But if they know it to be a truth, they must know it to be so either by its own self-evidence to natural reason, or by the rational proofs that make it out to be so. The strength of our persuasions is no evidence at all of their own rectitude: crooked things may be as stiff and inflexible as straight: and men may be as positive and peremptory in error as in truth. How come else the untractable zealots in different and opposite parties? 14. Revelation must be judged of by reason. God when he makes the prophet does not unmake the man. He leaves all his faculties in the natural state. Reason must be our last judge and guide in everything. If reason must not examine their truth by something extrinsical to the persuasions themselves, inspirations and delusions, truth and falsehood, will have the same measure, and will not be possible to be distinguished.